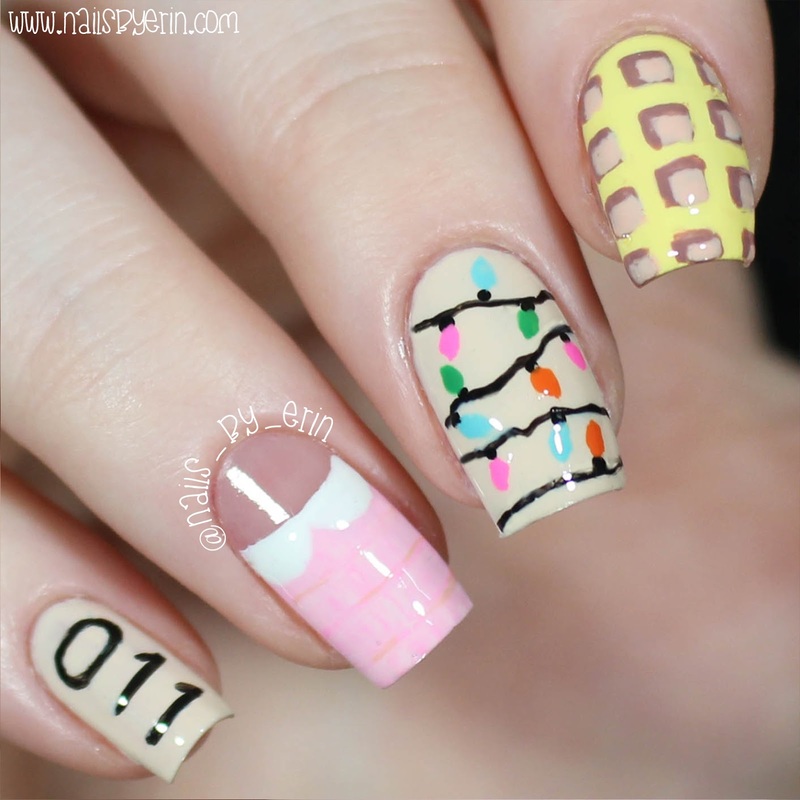 NailsByErin: Stranger Things Nail Art!! 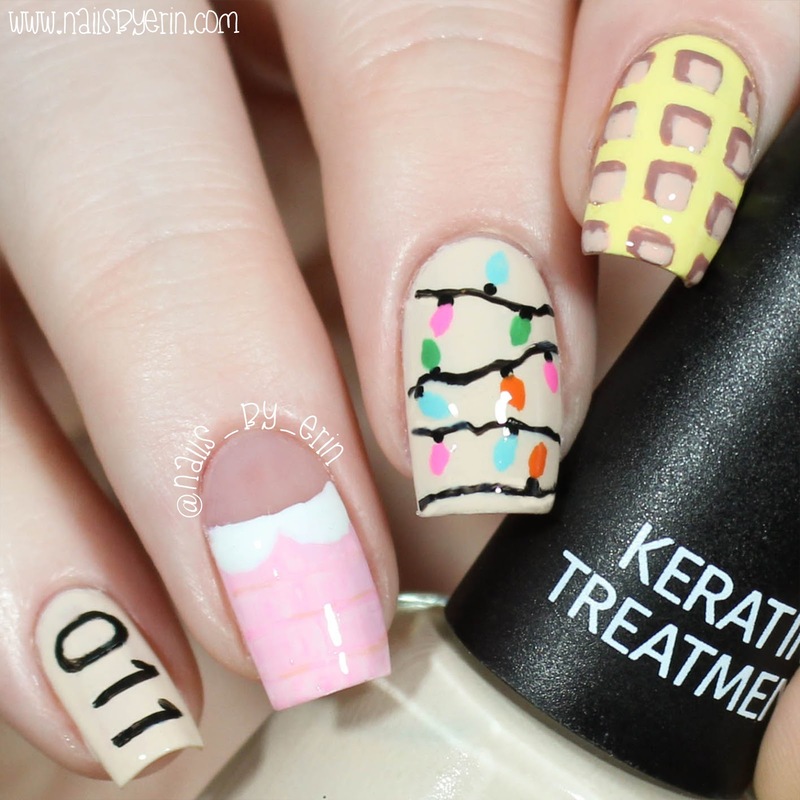 Today I have a special nail art design that I've been waiting to post for ages. In celebration of the release of Stranger Things Season 2, I did some Stranger Things inspired nail art! It's been such a long time since I did some proper freehand nail art, so this design was a challenge for me but I'm pretty happy with the results. **Comment down below who your favorite Stranger Things character is! ** I think mine would be either Barb or Eleven (obviously!). I used way too many polishes in this design to list them all here, but if you have questions about a specific polish, then feel free to ask me in the comments below. 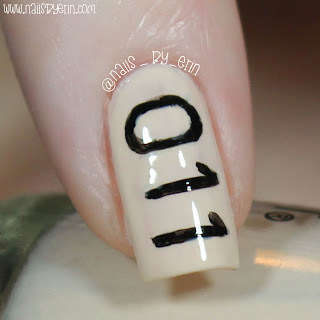 On my pinky, I painted Eleven's 011 tattoo. On my ring finger, I painted the pink dress that the boys give Eleven. I used some slightly darker shades of pink to show the little bit of texture around the top of the dress. It's pretty faint, but you get the idea. 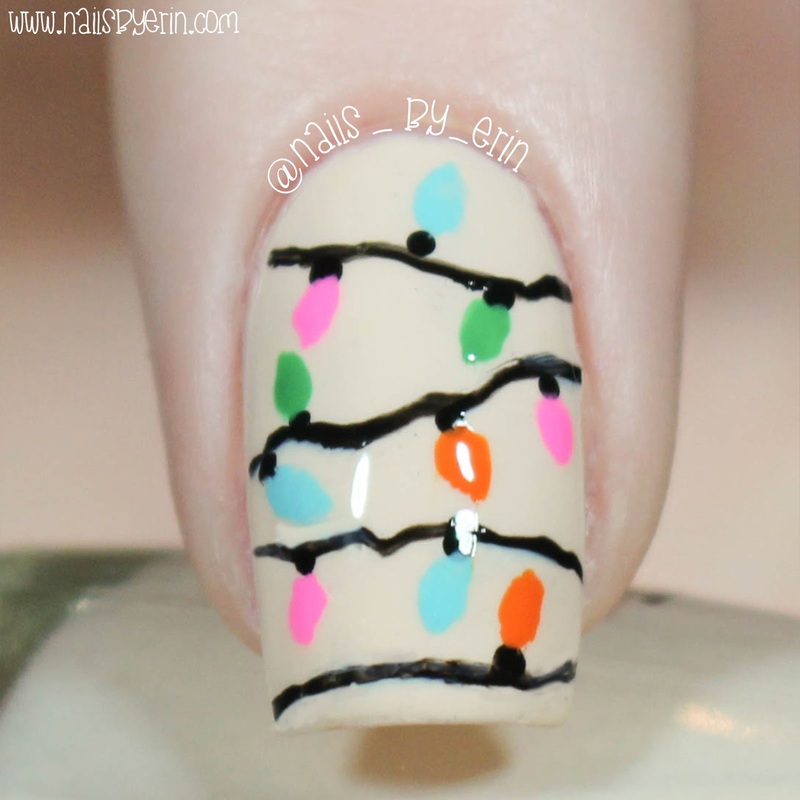 On my middle nail, I painted some Christmas lights, which were an important part of season 1! 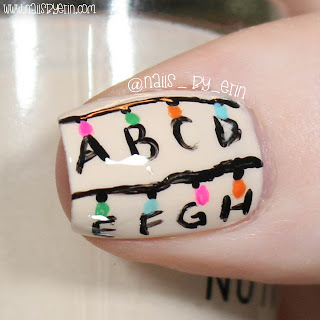 And on my thumb I decided to recreate the alphabet wall that Joyce Byers made in her living room. Luckily the letters she painted were pretty messy, which made it a lot easier to put them on my nail! 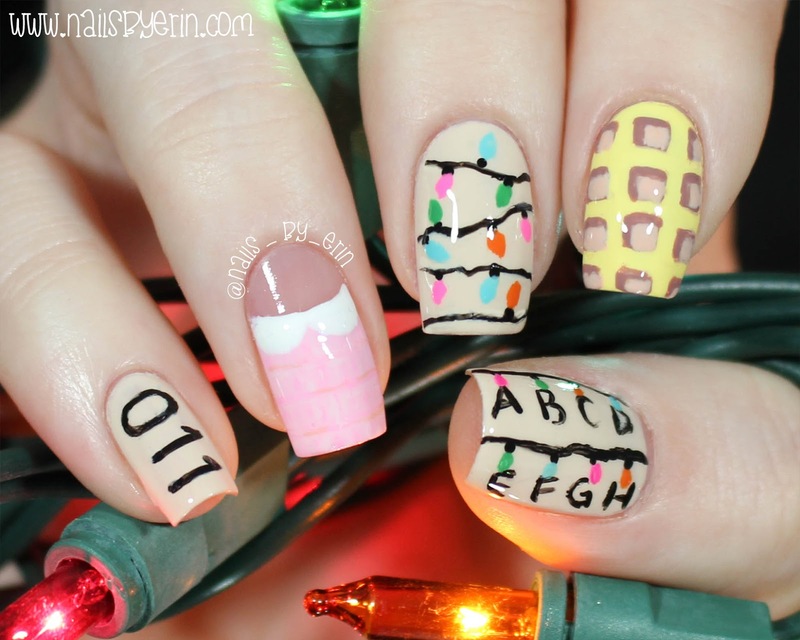 The letters didn't have to be perfect, and the Christmas lights were pretty easy, too. This is clearly a special design since I actually did my thumb, and I photographed it! 😂 If you've been following my blog for a while you know that my thumb makes very few appearances. If you want to see how I did this design, then check out my YouTube video here, and please subscribe while you're there! I haven't watched the show but I love all of the detail and any excuse to have Christmas lights!